Cathy Isom has a few good tips for you to pick the right apple tree to plant for growing your own apple harvest. That’s coming up on This Land of Ours. The apple harvest comes in fall, and one tree, even a dwarf variety, can supply over 100 pounds of fruit. A full-sized tree could yield up to ten bushels, nearly 500 pounds of fruit or the equivalent to 150 pies. That’s every year! 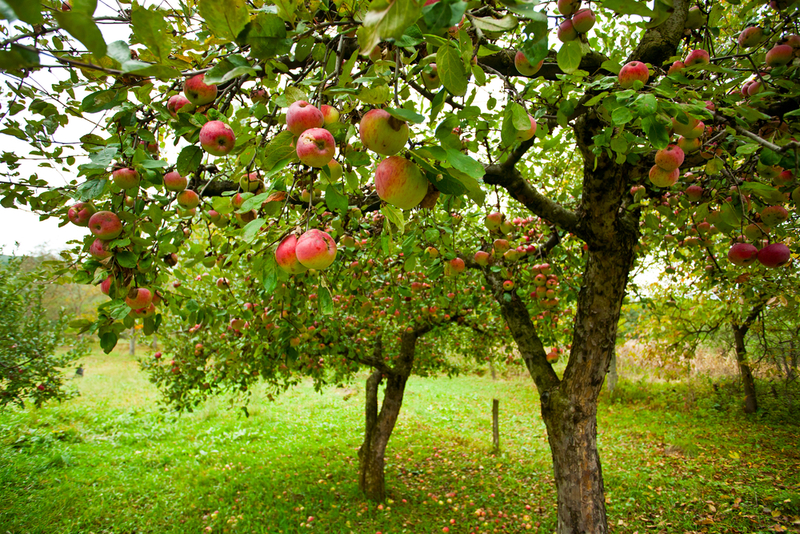 Part of creating the right conditions for growing an apple tree is choosing the right kind of tree. “Hardy” apples are more suited for colder climates, such as USDA Zones 3 through 5, whereas “long-season” apples work better in Zones 5 through 8, where it stays warmer longer. It’s important to choose a variety with a comparable amount of “chill hours” as the climate where you live. Soil is also equally important as far as where you’ll plant your tree. Apples like well-drained, slightly acidic soil with some richness. They also prefer full sun at least 6 hours a day. More tips for planting and taking good care for your apple trees on tomorrow’s This Land of Ours.